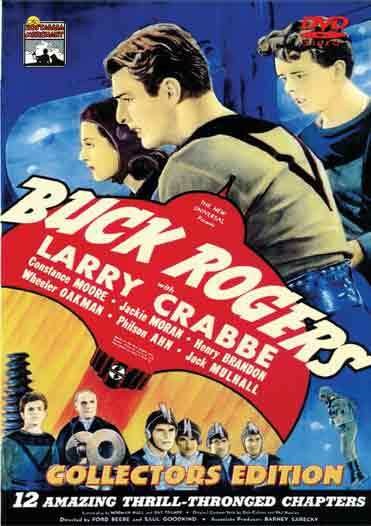 Buck Rogers and Buddy Wade are in the middle of a trans-polar dirigible flight when they are caught in a blizzard and crash. Buddy then releases a special gas to keep them in suspended animation until a rescue party can arrive. However, an avalanche covers the craft and the two are in suspended animation for 500 years. When they are found, they awake to find out that the world has been taken over by the outlaw army of Killer Kane. Along with Lieutenant Wilma Deering, Buck and Buddy join in the fight to overthrow Kane and with the help of Prince Tallen of Saturn and his forces, they eventually do and Earth is free of Kane’s grip. 2 DVD Set. – 12 Chapters (1939).